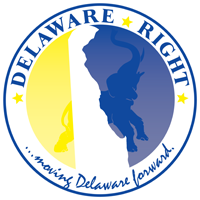 The following is a letter to the editors at Delaware Right from one of our regular commenters, Water Pirate. The question I asked was ” What is the Caucus doing to protect the rights of law-abiding citizens to own and posses firearms, specifically, turning back the Governors gun bill initiative?”. I was pleased and disappointed with the answer. The short answer was ” Everything we can, but we are in a super minority.”. Being in a super minority means that even if every R voted against the bills, they would still pass. We are simply outnumbered in all 3 branches of the state government. The political landscape/mine field, here in Sussex County, is a stark reminder to the rest of the state that there really is an opposing viewpoint to be considered. Sussex County’s Rs are not going to be enough. In my opinion there are 3 factions in play here as the title of this post implies and it transcends any letter following a voter’s name. This country has a long history of prohibition that simply failed, failed, and failed. The country’s experiment with alcohol, and the never-ending war on drugs, are the examples that come to mind first. In both cases a demand for the product led to an increase in organized crime for the sole purpose of supplying the public with prohibited goods. Next the flying spaghetti monster. This group thinks that any regulation, or move by the government or state is a call to arms, literally in defense of the broadest possible interpretation of the law. It is the polar opposite of prohibition. A call for a society that teeters on the brink of anarchy at all times. Common sense is what compromises the rest of us attempting to conduct ourselves in a law-abiding society, exercising our rights, while protecting the rights of others, all in a responsible manner. HB 35 is a step in the direction of common sense. Called a tepid victory by one side, and tyranny by the other. Those with common sense and who are law-abiding, do not have a problem with it. If the contents of HB 35 are the pathway to legal gun purchases, guess what? Lawful persons will follow that path. It is a step to keep guns out of the hands of those who are not lawful, or unstable. #37 was stricken already and that is a good thing. The author appeared to throw his staff under the bus on that one, but the truth is that the bill was a sloppy piece of legislation. I believe that we need not repeat the lessons we have, and are still learning about prohibition. Further the capacities of magazines and whether a gun has a protruding fore grip has nothing to do with its lethality. The operator is what makes a gun lethal and it is that fact we need to address. Now onto the super minority. If we want to apply common sense in terms of the Governors initiative it is going to take the people who occupy the space in the political spectrum, that are in the middle. Because calling them moderates infuriates so many people on the right and left, I prefer to call them ” The common sense, rank and file “. This issue, like so many others, should transcend the letter following your name on your voter registration card and you should decide based on common ground, and common sense. I get the opportunity to speak with about 10 people a week who I do not know, through my occupation. I asked all of them the same question about guns and ammo and magazines. The response is overwhelming as to the action they want taken. They want responsible ownership by those who are not criminals, and stiffer penalties for those criminals who choose to own and use guns. I guess the question of what is responsible comes next. I have heard a lot of common sense ideas put forward, and frankly I am okay with most of them. Some of them are: mandatory gun safes, training programs, and licensee. So talk to your friends, coworkers, and neighbors and ask them to support common sense, not prohibition, and not lawlessness. Urge them to call their representatives and tell them that they support them for choosing common sense, not voting the party line if they do not agree with it. Without common sense prevailing, the rights of those of us who are law-abiding, will be diminished as we sit back and watch another failed experiment in prohibition, at our expense. My views and opinions are mine alone as observed from the bridge of my ship. My apologies to the flying spaghetti monster for sullying it’s good name and reputation by using its name to describe the actions of others. 14 Comments on "Letter To The Editor"
It’s been my experience that common sense is practiced most effectively when it is practicely quitely by serious people. As soon as the outrage machine kicks and people start wailing, common sense seems to go out the window. Still, the problem is, when people are quiet, there are those who see that as a sign do to nothing. Regardless, sober thoughtful action is what creates good governance. Prohibition, isn’t being of course, but even if it was it could not be implemented. Yet, some see prohibition in every action. Even registration is not prohibition. We register dogs, cats, cars, and even water wells. It really isn’t that big of a deal could just allow law enforcement to track how guns get into hands of those who are not suppose to have them. Agreed that that thoughtfull quiet actions seem to be percieved as a weakness by those that wail. I see the so called assault weapon, and magazines with a capacity over 10 as a form of prohibition. However I feel a lot more people are willing to do what ever it takes to keep the weapons that they have. For me if it means registration/taxation I will gladly pay rather than run down to the circle with my pitch fork and a torch. I’ll agree that banning certain types of weapons is a form of prohibition. Yet, we all accept that the common good is served by prohibiting some weapons (RPGs, bazookas, et al). I am sure you and I both agree there is line that needs to drawn. What the debate should be is about where that line gets drawn and why. There is and allways will be a line. I think the line is fine where it is now at semi automatic and the magazine capacity. I do feel a lot could be done to tighten up the responsible ownership issue in reguard to purchases and maintanance. One of the issues that came up in a discussion with a hard D was very interesting. The position was that the deterioration of close friends and family were adding to the gun problem when speaking in terms of domestic violence and kids. The position was presented as if you know someone is having a beef with a spouse, or other family, it should be O.K. to say friends don’t let angry friends have guns, for a while. The premise was if you know someone who is in a emotional state of FUBAR, family or friends should step in, not the govt. I thought that was a valid observation of how we could help each other help ourselves. Good points both of you. But many folks are reluctant to get in the middle of a domestic situation. Because the interloper can become the common enemy. Then there is also the burden of personal responsibility. I personally would not want that responsibility. I would be u comfortable asking a friend to turn over their weapons to me. Car keys are a different matter- but even then, that can become a battle. And friends can be lost. But, we all do agree, there is a line, it’s just a matter of where and why. I had a similar thought, unless the person was a very very close friend or family member. But WPs point is well taken. It does take a village and we have kind of lost that. Whose job is it to keep folks from going off the deep end? While we can all agree that there are limits, it is difficult to find where that limit should be, even considering something like geographical and population density differences. I probably would have much lower limit in an urban environment (think NYC) versus home on the range where men are men and the sheep are scared I can see why we would not want to apply the same rules out there on the range as we would in a city with 7 million people. I’m sort of inclined to have federal law deal with those things that transcend individual states, such as registration, back ground checks, etc. and perhaps leave it to each state to regulate the type of firearm, with some federal limit such as we already have or should have (weapons of mass destruction for example). That way, Idaho (the home of white supremacy) can have appropriate gun laws for that state which would be different than New York or Delaware. At any rate, having a conservation about such issues is much better than screaming 2nd Amendment with every breath. I must remark that I agree the real focus needs to be on the simple: keeping guns from wrongly being used. As long as they are used correctly, they are no more problem than cars. I’m interested in your take on assault weapons and high capacity clips. Most of the emphasis on banning these two comes from our law enforcement ranks, our men in blue. I was pleased the bans do not ban existing weapons, and were worded so no one would have to get rid of any gun or clips they’d already purchased or owned. The ban is on “future” sales. Now if we make the fair assumption, that these assault weapons are already in safe hands, and that there is little chance a responsible owner will willingly allow their weapon to become part of any criminal action, how does this attempt to dry up the market by making these weapons less and less likely to be used against our law enforcement staff, hurt anyone already owning such a weapon? In fact, as soon as any new sale ban goes into effect, these weapons suddenly become collector’s items and their net worth soars I would think that would be on a practical level, a good thing. My comment is specifically addressing the comment about the prohibition of of private citizens owning rpgs, bazookas or other weapons classified as destructive devices. They are not prohibited by federal law, anyone who applies and passes a BATF background check and pays the tax stamp fees can legally possess such devices. This also includes machine guns manufactured and registered prior to May 19, 1986. As you say there are going to be allowances for those who allready own the guns and magazines on the list. That is good for owners, but bad for the intent, I believe that rank and file have no business owning military weapons as defined by BATF. I think that hollywood and the recent shootings in reality have cast a dark light on ” military looking guns”. The BATF will tell you there is a huge differance. The stricken bill 37 was so sloppy in it’s launguge it would have prohibited my nephews air soft rifle and some paint ball gus. It is that kind of slopiness in launguage that should make us all nervous about the legislation tat follws good intentions to quickly, for the wrong reasons. I propose not monkeying with the line, because I am afraid that once it goes an inch, based on emotion and current events, the door is wide open later for more of the same. I am also not an advocate of legislation that exempts people. Our men in blue should be more fearfull of the secret squirrels, than a specific type of weapon. Responsible gun owners aren’t the problem they aren’t the ones selling guns to criminals. Any gun owner who sells a gun to someone they don’t know personally isn’t a responsible owner period! FBI statistics clearly show that guns getting into the hands of criminals are coming from 2 sources FFL gun dealers who knowingly sell a gun/guns to persons disqualified and thefts. AR platform rifles are sporting rifles they are not assault weapons. They are the same exact rifle that can be bought in a conventional wooden stock or composite stock to look like a conventional rifle everyone is accustomed to seeing. The only difference is the black military composite stock look. The mechanics of the rifles are exactly the same. Regarding the proposed ban on certain magazines they are the standard issue magazine that comes with the gun from the manufacturer. The proposed high capacity ban and grandfathering will effectively make any magazines over 10 rounds illegal to use. The proposals specifically state that the magazine and firearm must be separated by 20′ when being transported to a firing range. That’s impossible to do unless the person makes 2 trips. Background checks are already required by federal law except private sales. Personally I believe that the idea of making more laws that penalize all because of the few isn’t the way to handle it. It will have little to no effect on those people who are already breaking the law by selling firearms to those people disqualified. Should a mandatory firearms safety course be implemented when buying a firearm it’s a start in my opinion. You don’t get to take the gun home until you take and pass the course. Regarding the requirement of owning a safe if you have a gun/guns, that’s just to big brother to me and virtually impossible to enforce. It would probably be in violation of the Heller ruling issued by the SCOTUS as well. I am vehemently opposed to any form of gun registration or taxation. The gun safe notion was a means to prevent the entrance of guns into the criminal realm via theft. With the scant reporting of gun theft details there are no stats to talk about. It was offered as another means to a purposefull end. How is the proposed magazine ban good for the gun owner who aren’t gov’t or law enforcement? They won’t be able to use or sell them, and that includes selling them to someone where there is no ban on them. many of the rank and file as you call them are vets who own these weapons, the federal government and SCOTUS have ruled that citizens not disqualified are allowed to own an possess like weapons in common use by the military. Whether we agree or not it goes to the very heart of the 2nd amendment. Regarding your nephews airsoft gun I can understand that. look at the last knee jerk legislation that required orange tips on look alike guns, yet if you go into walmarts they have semi automatic pellet guns made to look like Colt, Beretta, Glock Walther right down to the picanny rail for a laser dot setup. You can not tell the difference when held at even 10 feet away. There are stats compiled by the FBI regarding thefts of guns from dealers and it’s huge. I’ll try to locate the link and post it today you will be shocked. Of course how many are actually thefts versus the gun dealer selling a gun to someone disqualified isn’t known. Don’t get me wrong about the safes I have all my guns and ammo locked up in a safe at all times minus the one I keep out for defense. The theft stats I was reffering to applied to home thefts. If there is a problem with the FFL’s then that needs to be addressed on a federal leval as part of the FFL controls allready in place. Geography does also play a role. As the laws needed to govern a Montanna range country and those required in Wilmington could never be the same. As to your first paragraph, that speaks directly to the issue of prohibition. I believe in law for everyone. That means that the only exemption to the prohibition should be the gun issued to a serving member of our military. Local law enforcement and DSP and every other branch in the state should also have to conform to the act of prohibition. Laws with exceptions are not laws, they are entitlement plans.